The name “Spritz” originates from the cocktail of the same name, now famous from the happy hours of Rome and Milano. 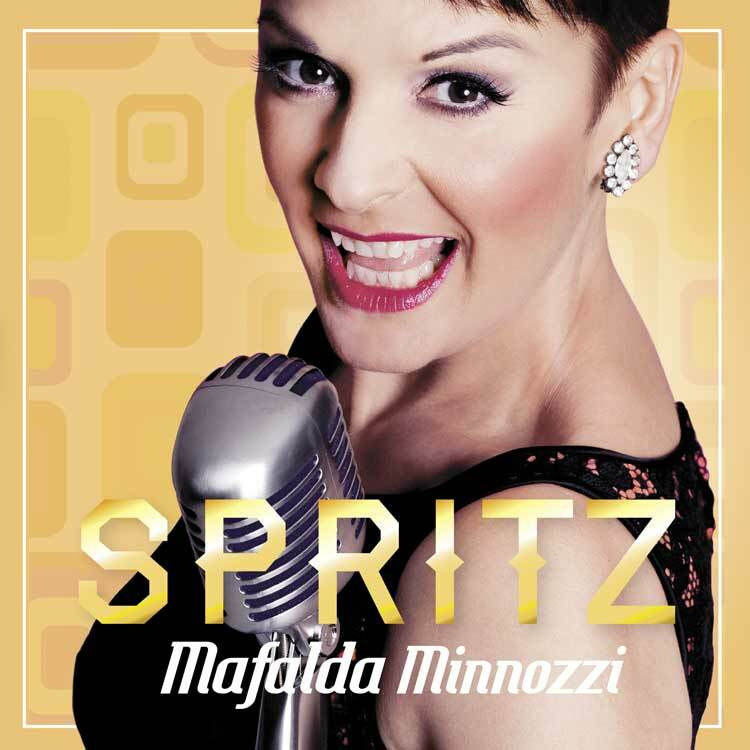 With its light and colorful essence, the aperitif captures the spirit of the new album and new show of Mafalda which is bubbly and irreverent while never neglecting the nostalgic flavor of this repertoire from Italian popular music. The album could be summed up as a cocktail of Italian music served up in an original and contemporary language. The songs selected and the their arrangements re-create the atmosphere of the `50s and `60s, a period that plays a part in the imagination of Mafalda Minnozzi via the stories told to her by her grandparents living in post war Italy. Films such as “La Dolce Vita” and “Candelabro Italiano” are a great representation of what Mafalda would like to highlight. It was a time to believe in the future, a time of innocence and solidarity. After all, “Spritz” breathes new life into a time in the past that remains a mark in history. sa che vivo per te.